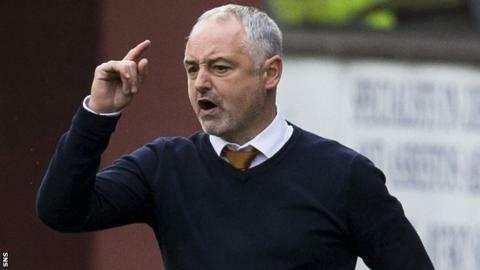 Manager Ray McKinnon is expected to leave Dundee United following Saturday's 2-0 Scottish Championship defeat by Inverness Caley Thistle. The loss leaves the Terrors fourth in the league table, five points shy of leaders St Mirren. The 47-year-old, who took over as manager in May 2016, said post-match he did not feel his job was under threat. "[My position] is not for me to decide - I never worry about things like that," McKinnon told BBC Scotland. "I'm a professional, I work hard and I'll keep doing my job to the best of my ability. If somebody else feels it's time for a change that'll be there decision, it's nothing to do with me. But ultimately I put that team on the park and I expect so much better from them." 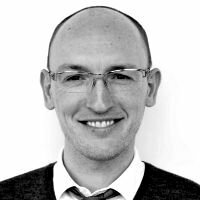 "(United chairman) Stephen Thompson has been ruthless in the past, and when you look at the last two results, I don't think it should come as a surprise. "Dundee United are a team that are desperate to get back into the top division, and I don't think the chairman is prepared to let it go any longer. "It is all about results, and I think Ray McKinnon has been pretty well backed by the board. If he is not getting results, he has got to expect the guillotine is going to fall. "He looks a bright young manager but unfortunately for him, it looks like his future is not going to be at his boyhood club." Former United midfielder McKinnon joined the club from Raith Rovers, whom he guided to the Championship play-offs in 2016, where they were eliminated by Hibernian. Under his stewardship, the Tannadice outfit started life in the second tier strongly, competing with Hibs for top spot during the first half of the campaign, but ultimately finished third, and lost a tight promotion play-off final to Hamilton Academical. Back-to-back defeats to Livingston and Inverness now leave United with just five wins from their opening 10 league fixtures. Scottish Gossip - United's McKinnon facing sack? Read more on Scottish Gossip - United's McKinnon facing sack?